One day I had a thought… something about an angel getting its wings when a bell rings. 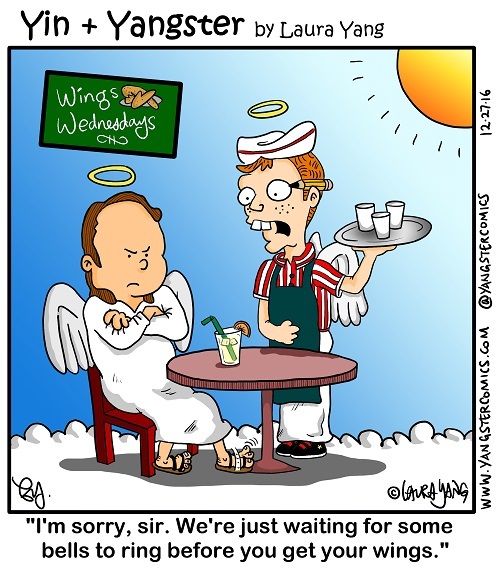 Well, I couldn’t help but think of wings as in the deliciously edible chicken kinds. But before I leave you there, I just wanted to share an epiphany I had.